It's Sunday which means it's time to link up with Kimba over at the Caffeinated Book Reviewer to talk about what went on this week. 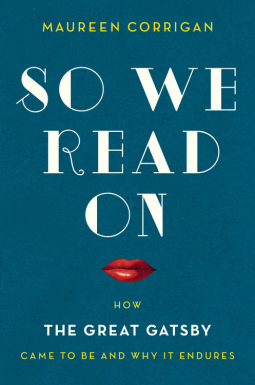 So We Read On: How The Great Gatsby Came to Be and Why It Endures by Maureen Corrigan - I swore that I wasn't going to make any requests this week but when I came across this one I couldn't resist it! Especially since I had just listened to The Great Gatsby. Snow Angel Cove by Raeanne Thayer - I'm already swimming in Christmas books and it's only August! I've heard good things about this author so I'm looking forward to giving this one a try. Almost Famous Women by Megan Mayhew Bergman - My favorite biographies are always about people I have never heard or know very little about. This is a book of short biographies about women behind their more famous relatives - Lord Byron's illegitimate daughter, Edna St. Vincent Millay's sister, Oscar Wilde's niece and others. The Texan's Christmas by Tanya Michaels - I almost didn't request this one because the cover features a very pregnant woman. Now I don't know if I did pregnancy wrong but romantic wouldn't be the word I would use to describe it. Especially as pregnant as the woman on the cover is. However, I really loved the previous book by Michaels so I figured I'd try and get past the baby issue and give this one a try. A Novel Way to Die by Ali Brandon - a cozy set in a bookstore. I was thrilled when I got this through paperbackswap. Dangerous Denial by Amy Ray - Kindly sent from the author for review. I'm looking forward to reading it. 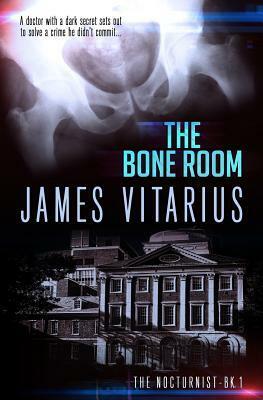 The Bone Room by James Viatrius - I enjoyed the first two chapters of this one when I read them a few months ago and I'm looking forward to seeing what happens with characters. I'm thinking this paranormal mystery set in a hospital with a vampire twist will be great for Halloween! 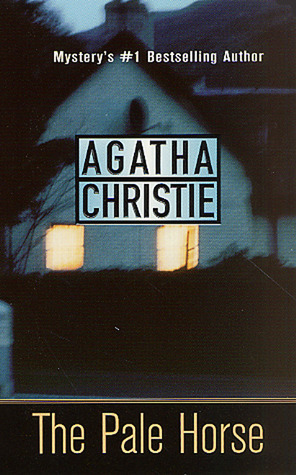 Reading: Murder on the Links by Agatha Christie - this is the 2nd Poirot book and I've been enjoying starting at the beginning with him. Death in the Dolomites by David Wagner - a murder mystery set in the Italian alps. Expect the review tomorrow. Talk Sweetly to Me by Courtney Milan - I've finally gotten around to trying Milan and so far she doesn't disappoint. Review Wednesday. Watching: I'm still watching CSI:NY on Netflix. My summer shows are starting to end. Perception and Who Do You Think You Are? both had their finales and I don't think Unforgettable has too much longer. I really enjoyed all 3 this year. I'm looking forward to some on the new fall shows - particularly NCIS: New Orleans. I like Scott Bakula and I'm excited about a show set in New Orleans. I spent a lot of time there when I was younger. Listening: I'm finishing up The Great Escape by Susan Elizabeth Phillips. I've been enjoying it but I'm not sure how I feel about long books in audio form. I get a little impatient. Next up I have The School of Essential Ingredients by Erica Bauermeister. This was one of those weeks that felt like it was all back and forth. Between appointments and errands and loose ends I feel like I was mostly going in circles and got nothing accomplished. This weekend is birthday weekends. We celebrated my mother's yesterday with family from out of state that I don't see nearly enough. I always make baked good for her birthday which is fun. It gives me an opportunity to try some of the interesting recipes I see on Pinterest. Today is my husband's birthday so we're going to dinner and doing cake and presents later. We're ordering Emma's cap and gown which is just weird. It's hard to believe that she'll be off to college next year and then Paul will go the year after. It's definitely going to be strange to be down to 1 child for most of the year. A new mystery from Kate Dyer-Seeley with a great setting and a fun premise! My Friday linkups featuring excerpts from Great Expectations - I'm scared! Monday: A review for How to be a Parisian because I've been in a Paris kind of mood. I'm a long time fan of the show Chopped on the Food Network as well as a lover of cookbooks. When I heard that those had been combined I was curious. 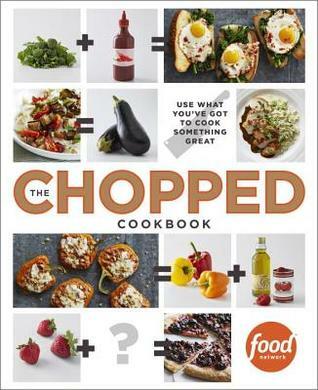 How could a cookbook possibly come from Chopped? Are they recipes that were used by contestants on the show? Do they ship baskets to you? Would I have to make something that contained an ostrich egg? Like I said, I was curious. Then I got the cookbook in my hot little hands and I was no longer curious. However, I was impressed. While the recipes don't call for the odd and sometimes scary ingredients that come out of the baskets each contestant gets the book does stress the overall feel of the show. Work with what you have and do it fast. The book itself is broken into 10 segments covering things like Pasta Night, Eggs After Breakfast, Big Salads Hearty and Fresh, and Short and Sweet Easy Desserts. There is a vegetarian chapter as well as proteins broken down by type. Each recipe contains serving size, active time and total time as well as little hints and tips in the margin. Some relate to the recipes and others are tips and tricks from some of the judges. With very few exceptions most of the recipes can be made in about half an hour. On the first flip through I tagged about 20 recipes I wanted to try but the one that really caught my eye was Pretzel-Mustard-Crusted Pork Tenderloin Sliders. The recipes says the Active time is 45 minutes but I found it to be more like 30 or so. I made the sauce earlier that day and then toasted the slider buns (because you should ALWAYS toast hamburger or slider buns) while the pork was frying. What took the most time was crushing up all the pretzels. The instructions were very clear and well laid out. I did have to make a substitution because I didn't have any Bread&Butter pickles and I wanted these NOW! While I normally prefer to follow the directions exactly if I'm reviewing a cookbook I figured that the whole idea of Chopped is to work with what you have. Plus, as a whole my family doesn't care for Bread&Butter pickles. So I left out the pickles and substituted a little extra horseradish and lemon juice to supply the acid that the pickle juice would have brought. Results? AMAZING! Everyone raved about these and ate every bite and it has been requested that these make a return visit very soon. Clear instructions and great pictures for every recipe. Fabulous charts for pan sauces and vinaigrettes that are creative and can be paired with anything. I love this cookbook! It's great for someone like me who is an experienced cook but likes to mix it up a bit and has all the schedule issues that come from having a busy family. I also think it'd be great for someone who is relatively new to the kitchen but wants to learn how to make great dishes. This would be the kind of cookbook I'd give my kids when they find places of their own but at the same time I expect to be using it regularly. It's Friday which means I'm linking up with Book Blogger Hop from Coffee Addicted Writer, Book Beginnings on Fridays with Rose City Reader, and The Friday 56 with Freda's Voice. Do you request notification of new replies when you post a comment on a blog post? Usually I do especially if it's a blog I've just discovered and am going to follow. So it's happening - I'm going to reread Great Expectations. This was on my spin list for The Classics Club in the dreading section. The last time I read it was 20 years ago when I was a freshman in high school and I HATED it. I think my one sentence review was "Pip complains - a lot." However, people love Dickens and surely my perspective now is a bit different than it was at 14. So I'm going to read it with an open mind! "My father's family name being Pirrip, and my Christian name Phillip, my infant tongue could make of both names nothing longer or more explicit than Pip. So, I called myself Pip, and came to be called Pip." "That fearful impostor, Pumblechook, immediately nodded, and said as he rubbed the arms of his chair, "It's more than that, Mum."" So I just started this but haven't made enough progress to offer any opinion. The writing is taking some getting used to but that's mostly because I've been reading lighter stuff this summer. The review for this is due October 6th so I figure I've at least given myself enough time to get it read! Description: 23 year old Meg Reed has always wanted to be an investigative reporter just like her father. However, the day she gets her sparkling new journalism degree is the day the paper she wants to work for announces major layoffs. Desperate for a job and a way to stop sleeping on her friend's couch Meg does some exaggerating about her outdoor skills in an interview. The good news is she lands the job. The bad news is she now has to use those outdoor skills she made up. While she's hanging to the side of a cliff that she has no desire to be on she sees someone flying over the side. Now it's time for Meg to use those investigative journalist skills and get to the bottom of what happened. Why I Picked This Book: I love a good cozy and the outdoors-y premise of this one sounded unique. Pros: I had two concerns when I started this book. The first that Meg's age was going to be used as an excuse for her to act like a bratty child and the second was just how big the lie was that Meg had told to get the job. Turns out I had nothing to worry about! For one thing, while Meg may be impulsive and inexperienced she is not immature. She's not perfect. She doesn't always make the best decision or act professionally but her character feels real and not like someone who just needs to grow up. The lie isn't actually a lie. It's an innuendo and some careful wording and then not correcting assumptions. I'm pretty sure I did something similar when fresh out of college! Or if I didn't, I would have. I also like that this isn't a book that could be set anywhere. I really got a very clear idea of what the world Meg lives in looks like without over the top description. She talks a lot about the weather and the look of Oregon which was a lot of fun. I think if you were from the Pacific Northwest you would enjoy it even more. The mystery itself was well done. I had some hints as to who the killer was but the motive both felt real and was a surprise. Meg's job worked well for a mystery because it enabled her to actively investigate without it feeling odd. While she did venture into situations that could cross into the To Stupid To Live territory it was at least logical as to why she was investigating on her own. I liked that even though she didn't back down from investigating the show and the murder she also kept the police involved. Also, the hint dropped at the end of the book about the next mystery has me excited to read the 2nd in this series! Cons: The Race the States competitors were pretty one dimensional and I had a hard time getting particularly involved with them. They're distinct enough that I remembered who was who but I never really got a feel for more than the very surface description. Other than the investigating part Meg doesn't do much actual reporting. While she appears at a Race the States events she doesn't seem to do much interviewing or picture taking or actual writing. This doesn't bother me in this book because the job is brand new and it's the first in the series. However, it would annoy me if in book 3 she still hasn't actually done any actual work. I have hopes that this will not be an issue though. Overall: This was a fun new cozy with a great sense of place and a really promising main character. There were a few flaws but it didn't keep me from enjoying the book and I definitely will be looking for the 2nd in the series. Would I Read More of this Series/Author? : Definitely! Book 2 is already on my wishlist. Would I Recommend this Book? : A good cozy that isn't too cozy or silly. If you're looking for a good cozy this is one to pick up! Description: June Anderson is the youngest VP at her bank in New York City with the reputation of being ruthless and the go-to person for hard foreclosure cases. She is stunned when she learns that her Aunt Ruby has died and even more stunned to learn that Ruby has left her the legendary children's bookstore in Seattle that Ruby ran for half a century. What starts as a quick journey to Seattle to liquidate assets and return to work ends up being so much more including understanding her aunt and the author of June's favorite childhood book - Goodnight Moon. 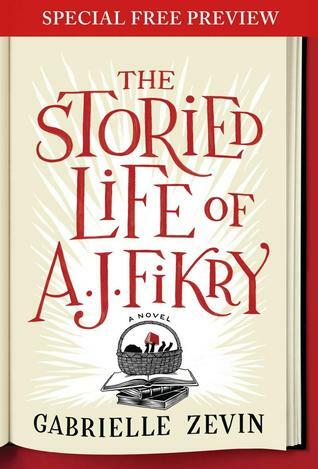 Why I Picked This Book: Woman leaving a high stress career to sort through her aunt's bookstore and ends up on basically a scavenger hunt through old books to discover the secrets of her aunts past and a connection to one of the most well known children's books authors. How could I pass that one up? Pros: I have read Goodnight Moon many times with the Tornado and it's always been the most calming of bedtime reads. With each goodnight the pace slows, the volume lowers and I could visibly see his eyelids getting a little heavier. On a side note the Quiet Old Lady has always given Emma the creeps and even when she was little she refused to have that book read to her. I enjoyed finding the little mentions for the inspiration for Goodnight Moon and Brown's other books. I had know idea she had written so many. I loved the mention of the cat with the blue paws from Hemingway's house as The Color Kittens is our current favorite around here. I really enjoyed getting to know Margaret Wise Brown. From the introduction Jio has done her research on the Brown and really makes her come alive. When I finished this book the first thing I wanted to do was go find out if there full biographies on Brown because I wanted to hear more from her. While June was difficult to like at the very beginning I did sympathize with her as it was clear how she became the way she was. Watching her begin to thaw was lovely as was the relationship with Gavin. The scavenger hunt was wonderful and I liked how we got the little details about Ruby and "Brownie" without it overpowering the story going on in the present. Then there was the ending - the glorious ending. This was the book equivalent of the a sports movie ending where the scrappy underdog is carried off on his teams' shoulders while the stadium chants his name. It was uplifting and wonderful and I loved how everything go wrapped up. Also, I now want a kitten who I name Brownie. Cons: I'm stretching here because I thoroughly enjoyed this one. It kind of annoyed me that June never even considered selling the first editions to help raise money. I get that she didn't want to sell them all but at least some especially considering what she was up against. I wanted her to fight a little harder. I can see how an argument could be made that the end was a little contrived or maybe over the top. It's not an argument I'm willing to listen too but I can see how it could be made. Overall: I thoroughly enjoyed this book both because of the literary connections and watching June find her way. Jio makes both Bluebird Books and Margaret Wise Brown really come alive. If I was planning a trip to Seattle I'd have to remind myself that Bluebird Books isn't a real place because Jio made it seem so real I'd add it to my itinerary without thinking! Would I Read More of this Series/Author? : I'm planning on looking for Sarah Jio's early books at my library this afternoon! Would I Recommend this Book? : Absolutely! If you love bookish books or transformation books or books that bring a happy tear to your eye this is one to pick up! It's Tuesday and who doesn't like a top ten list? I'm linking up with The Broke and the Bookish and today's topic is Top Ten Books I Want to Read but Don't Own Yet. 1. Bran New Death by Victoria Hamilton - this cozy series has been on my radar since it came out but it was the release of the 2nd one that really got me wanting to read the series. However, before I can read that one I need to read this one! 2. A Duty to the Dead by Charles Todd - this is another series that has been on my radar for awhile. 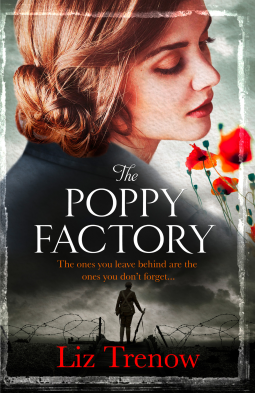 I love books set in the period between the wars as well as books set in England. The premise itself sounds interesting! 3. Hollow City by Ransom Riggs - I enjoyed Miss Peregrine's Home for Peculiar Children and I'm curious to see where the story goes. 4. Mr. Penumbra's 24 Hour Bookstore by Robin Sloan - It's a book about a 24 hour book store. It's been on my wishlist for ages but I've never picked it up. 5. Hyperbole and a Half by Allie Brosh - I've followed this blog on and off for awhile after reading a story where she re-enacted a Christmas play with relatives which made me laugh so hard I teared up. I'd like to give the full length book a try though I know she covers some very serious issues. 6. A Cornish Affair by Liz Fenwick - I first saw this book on NetGalley but it was only available to readers in the UK. I've been wanting to read it ever since! 7. Mallowan's Memoirs: Agatha and the Archaeologist by Max Mallowan - This is a book by Agatha's beloved 2nd husband a man who was a renowned archaeologist and generally considered a thoroughly nice man. I'd like to read his side of things since I've read Agatha's POV so many times. 8. 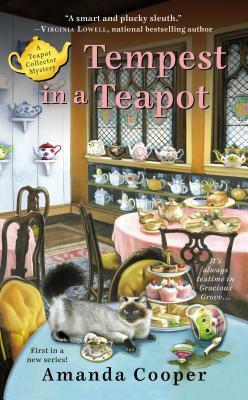 Tempest in a Teapot by Amanda Cooper - It's a cozy about teapots! I want to read it! 9. Paris Without End: The True Story of Hemingway's First Wife by Gioia Diliberto - I discovered this book shortly after The Paris Wife came out and I've been dying to read it ever since. Description: Ford Maddox has spent the last 20 years hiding from the world and doing work with birds on the secluded Sandpiper Island. 20 years ago Delia O'Reilly helped him when he needed it the most and now she needs help. But Delia has spent that time doing things on her own and getting her to accept help is not an easy thing to do. Can these two independent strong willed people work together? Can they each let down the walls they've spent so much time building? Why I Picked This Book: While I enjoyed the previous book in this series (Half Moon Harbor review) it took me awhile to get into it. I wanted to see if reading the books in order helped. Pros: One of the things I loved most about this book and the previous book was the characters. I can say the same thing about the characters in both books - they acted like mature and reasonable adults. However, Kauffman did a wonderful making these characters completely different than Grace and Brodie from Half Moon. Delia is all heart and used to being a shoulder for everyone else's troubles yet keeping herself slightly apart emotionally. A long time ago she lost everyone and everything that mattered to her and she's determined to not feel that way again while still reaching out to help people as much as possible. Ford had a rough childhood and a tough military career. When he came to Blueberry Cove, Maine he needed to find his footing and he needed to heal. He retreated to the island to work with birds and basically spent the next years alone. I liked that while Ford really wants to help he is awkward and rusty in dealing with people - especially Delia. Their interactions are lovely as well. They have quite a history so they know each other, however they haven't seen each other in awhile. While they say the wrong things they don't always storm off mad. They listen to each other, they communicate about what made them mad and they try to fix things all while seeming authentic. All the time spent at Delia's Diner gives the reader a good insight into the people of the town and the divide between the fisherman and the developers. 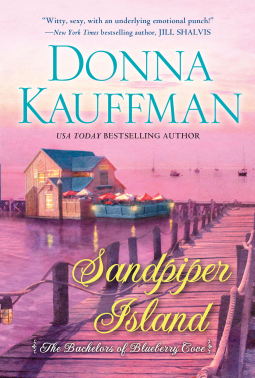 I really enjoyed the time spent on Sandpiper Island and I'm going to have to spend some time looking up baby Puffins! Cons: This is definitely a series that needs to be read in order as most of the background between Ford and Delia happened in Half Moon Harbor. I had a problem really figuring out what was going on in Half Moon Harbor for the first little while because I hadn't read the book before and I think that would've been the case with #3 if I hadn't read #2. Also, the end didn't tie up things as much as I'd like. I was satisfied with the ending between Delia and Ford but there were other storylines that were left a little open ended. I'm hoping to see more of what happens in book #4. Overall: I really enjoyed my 2nd visit to this little harbor town in Maine. Delia and Ford are really likable characters that you can't help but root for. Just make sure you read the series in order! Would I Read More of this Series/Author? : Definitely! I've already got book #1 in this series and am looking forward to book #4! Would I Recommend this Book? : Absolutely just remember that this is a series that it is important to read in order. It's Sunday which means time to link up with the awesome Kimba at The Caffeinated Book Reviewer for the Sunday Post where we get to talk about what's going on on and off the blogs! Not nearly as much as last week! This week isn't quite so eclectic as I seemed to focus on contemporary romance. 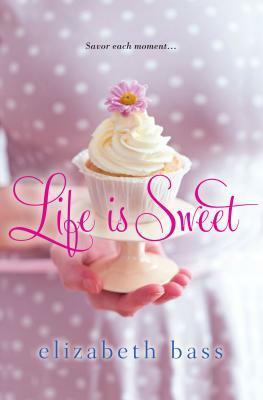 Life is Sweet by Elizabeth Bass - I'm not sure I've really mentioned it here but I adore cupcakes. I've made tons of varieties and always love to experiement. I couldn't resist the cupcake on the cover paired with the story of a woman who threw a dart on a map and opened a cupcake store where it landed. Talk Sweetly to Me by Courtney Milan - because one day I hope to actually read one of her books instead of just accumulating them. All He Wants for Christmas by Lisa Plumly - This is billed as a funny contemporary and I'm in that kind of mood right now. Maybe This Christmas by Sarah Morgan - I've loved the other 2 in this series and I"m looking forward to see how the romance between Tyler and Brenna develops. Last week I didn't much read so I'm trying to catch up! 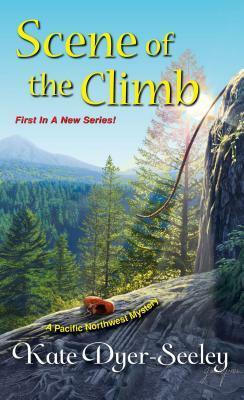 Scene of the Climb by Kate Dyer-Seeley - so far a fun cozy set in the Pacific Northwest. 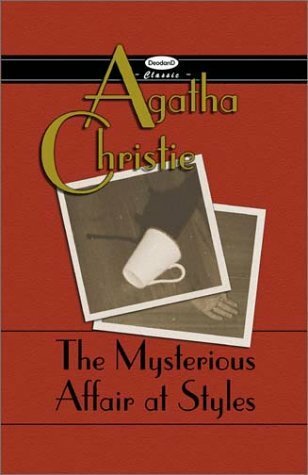 The Mysterious Affair at Styles by Agatha Christie - almost done with this one. Watching: The Being Poirot special that came on PBS last weekend. While I've never been 100% satisfied with any of the Marples David Suchet IS Poirot. Also, Doctor Who started back this weekend!! And with one set in the Victorian period. I'm a happy girl. Still watching CSI:NY though they've gotten slightly less dramatic. Listening: I finished The Haunting of Hill House for which a review of the audio, book and movies should come in the next few weeks. I decided to switch to something a bit lighter and got The Great Escape by Susan Elizabeth Phillips. Not much going on this week. We're continuing to settle into our back to school routines. The Tornado is loving PreK and my house is wonderfully gloriously clean which makes me happy. I had time to go thrifting with some friends and had a great time and picked up some great deals. The biggest find was a pair of 7 for All Mankind jeans for $3. Looking forward to going again soon. Soccer is going great for both the Tornado and Paul though they're very different teams. For starters all the boys on Paul's team are taller than me and on the Tornado's they're all about waist high. They all seem to be having an equally good time though. I'm enjoying things being more settled now that summer is over. Somehow we got to be THE house this summer. While I'm glad they feel comfortable bringing their friends here and all it definitely made for an interesting summer. The front of our house looked like a parking lot most days and I never knew if I was feeding 20 people or 2. It was fun but my little left brained soul is glad we're back to order. Description: This is an in-depth look at the TV show How I Met Your Mother with fun facts about popular episodes and biographies on the cast and creators. Why I Picked This Book: I've been a huge fan of the show since the Tornado was a baby. When he was very little he was a bit colicky and so my husband and I spent a lot of nights switching out the walking him back and forth duty. How I Met Your Mother had just gone into syndication and so we watched a lot of it during that time. I got to really love the characters and it's one of the shows I can rewatch regularly. Pros: There's a lot of How I Met Your Mother trivia here. I loved the Empire State Building Fun facts as well as a summary of each season itself and how each season was received. The back story about the bar (which has a HIMYM themed cocktail menu in real life that I totally want to try) and the creators was really fun. The stereotypical gender role reversals hadn't really occurred to me as well as some of the other differences between this and other popular sitcoms like Friends and Seinfeld. Cons: I wish there had been a few facts about all episodes as some of my favorites were left out. There's a LOT of information so I think it would be better as a physical book that you could flip through as the mood hits you. Overall: If you're a fan of the show or know a fan of the show this is a fun book full of extras and inside info. While this isn't really a read from cover to cover book it's lots of fun to flip through. Would I Read More of this Series/Author? : Yes if it was about another show I enjoy. Would I Recommend this Book? : If you're a HIMYM fan this is a fun little extra. It's Friday and I'm linking up with Coffee Addicted Writer for Book Blogger Hop, Rose City Reader for Book Beginnings on Fridays, and Freda's Voice for the Friday 56. "Do you reply to questions on your blog or do you figure readers won't be stopping back by so why bother?" I always reply just in case people stop back by though my usual routine is to reply the next day. Every once in awhile I'll miss one if someone replies to an older post and I miss it the next day but I do try not to. I love getting comments and the conversation is my favorite part of book blogging so I do try to make an effort. Today's book is Scene of the Climb by Kate Dyer-Seeley. Now I love a good cozy mystery so I was thrilled when the author contacted me about reviewing this one. I love that the main character is a fresh out of school journalist who MAY have exaggerated her outdoor skills in order to get a job. And by may have exaggerated I mean completely made them up. "My fingernails dug into the soggy dirt as my body lurched closer to the sheer cliff face. I desperately jabbed deeper into the ground for traction. It didn't work." "Maybe there was a Pulitzer in my future after all. Once I dragged myself off this rock face I was going to have to brush up on my investigative skills and get to the bottom of the real story behind Race the States. That should impress Greg." I'm just past this point in my reading and so far I'm really enjoying this one. I plan on having the full review up on Thursday. So what do you think? Would you keep reading? I'll be starting #43 soon because Great Expectations was #17 for my Spin List. Description: Stadiem takes us to a time when flying was still special and glamorous but was becoming more and more accessible to the average person. We meet the people who made the planes, the people who made it seem like an attainable dream and the people who made it work. Why I Picked This Book: I have an aunt who was a stewardess during this time and I've always thought the picture of her in her stewardess uniform was so glamorous looking. I jumped at the chance to find out more about it. Pros: This book contains A LOT of information. 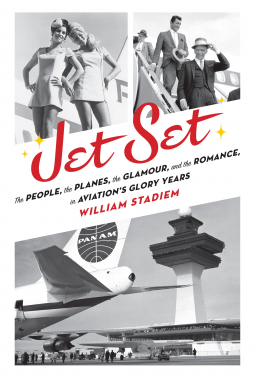 We get an in-depth look of how society became celebrity with gossip columns, the war between the airlines and a look at the men behind it, the people who made them fly, the people who made passengers comfortable and everything in between. This is a "Did you know?" kind of book. While I was reading this I was constantly bringing up odd little facts at dinner. "Did you know Oleg Cassini's brother was a famous gossip columnist?" "Did you know that when Boeing was broken up due to anti-trust laws that William Boeing got mad and spent the rest of his life raising thoroughbreds?" If you're wondering my husband's answers were - "Who is Oleg Cassini?" and "Yes". Unlike some "Did you know?" books the information in this book didn't feel like a massive overload of information. It read like a story with information being easily retained. While some chapters read a little easier even the more technical chapters were very clear. I thought the pictures in the book were well used. Just as soon as I thought "I wonder what this person looks like?" I'd turn the page and there was a picture. It was fun to see how flying went from a thing that was so special you dressed up for to a thing that was so ordinary you're lucky if your fellow passengers aren't in their pajamas. Cons: Because of the wide variety of information the book contained, it felt a little disjointed. Each chapter felt almost like a novella and it took me a few pages to get caught up in each one. Overall: I found this fascinating and thoroughly enjoyed it. I also found this worked very well as an e-book which isn't always the case with non-fiction. The pictures were clear and spaced sporadically throughout the book. If you're the slightest bit interested in the topic it's definitely worth picking up! Would I Read More of this Series/Author? : Definitely! I'll keep a lookout for Stadiem's other books. Would I Recommend this Book? : This is a great book about the early days of commercial flight. If you're at all interested it's definitely worth reading. 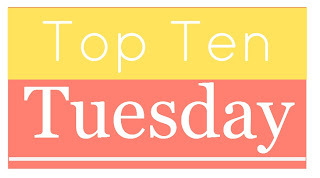 Today's Top Ten Tuesday topic from The Broke and the Bookish is 10 books people tell you that you simply MUST read. I had a hard time with this one because I'm not great at taking advice and I tend to set my heels and and NOT read something I'm told I really should. So here's the 10 books people have told me I absolutely MUST read and whether or not I actually read them! 1. Outlander by Diana Gabaldon - This was the first book I had in books I might not read and by far the book that told me I should read. I've seen a few mixed reviews among the massive outpouring of love and those and the fact this clocks in at 870 pages makes me hesitant. I'm considering watching the minis-series to see what I think of the story before trying the book. The people who love the book seem to love the show and for the most part spoilers don't really bother me. 2. The Help by Kathryn Stockett - I have no logical reason for not reading this one except people kept telling me I had to. Haven't read it and really don't plan to though I don't know why I'm so set against it. 5. March by Geraldine Brooks - this is one that has been on my radar for years and my grandmother was singing it's praises as she handed me the book telling me that I MUST read it. However, this book from the viewpoint of the absent father in Little Women is still sitting untouched on my shelf. One day soon though! 7. 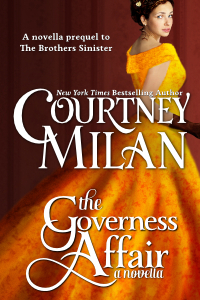 Anything by Courtney Milan - I have a blogging friend (Lisa @ Books, Lists, Life) who swears by her and has told me multiple times to read her. I have at least 4 of her books on my Kindle yet I have yet to read her. 8. At the Back of the North Wind by George MacDonald - Own it but have yet to read it. This was a favorite of my grandmother's when she was a child but even though I own at least 1 copy I've never picked it up. One day though! 9. Hunger Games by Suzanne Collins - I resisted this one when it first came out. I ignored the raves and the discussions but ended up reading it shortly before the movie came out for Book Club. I ended up really enjoying it. That being said I have no desire to read the next books. 10. A Prayer for Owen Meaney by John Irving - I was out with a few friends and we were talking about books and at least 2 of them went on and on about how the rest of us MUST read Owen Meaney. Coinicdentally a few days later it was a Kindle Daily Deal That was last summer. It's still untouched. Any of these that I must read? Any of these that you didn't like? Description: Lady Zoe Kean has a problem. It turns out she might not actually be who she thought she was when her aunt tells her that her parents bought her from her actual mother. Luckily she has a favor to call in with one of the premier Investigative Services in London - The Duke's Men. Tristan Bonnaud, the illegitimate son of a viscout, has reasons not to trust the aristocracy and is not exactly thrilled when he has to investigate Zoe's claim. She always speaks her mind and never stops arguing with him but bit by bit it turns to something more. Why I Picked This Book: I loved the previous book in the series (When the Rogue Returns - Review) so when I saw the next one in the series I couldn't request it fast enough. Pro: I love that Jeffries' characters are always unusual. In this book we have the illegitimate son of an aristocrat as well as a woman who is actually able to inherit her father's title. It was very easy to see why Tristan would have the issues that he has regarding trust and not respecting the aristocracy. I liked that while Zoe would prefer to marry for love she was also a realist and understood that she may have to marry for duty. The mystery of Zoe's birth was interesting and I liked that her father was not made out to be a villain but instead a man who truly loved his daughter but may not be perfect. While I have read the 2nd book in this series I haven't read the 1st and had no problems with that. The plot is so complete and the character development is so well done that while the books are linked they can truly act as stand alones. Con: While I thought Tristan had very good reasons for his hangups I can't really say the same about Zoe. Basically it boiled down to she didn't trust him because he was mean to her once in the middle of an undercover investigation. It seemed a little extreme. My primary problem with the book and what almost made me put the book down halfway through was how angry Tristan was. The main characters don't have to fall into insta-love when they meet (actually I prefer the didn't), in fact they don't even have to like each other but I need some resolution of that before things get to a physical level and I didn't feel like I quite had that. Their early physical encounters seemed to be almost anger driven or as Tristan teaching Zoe a lesson and I didn't care for that at all. Luckily this resolves itself and the end is truly satisfying. Overall: While I didn't enjoy this one as much as the previous book I had read from Jeffries it was still an enjoyable read with interesting characters. 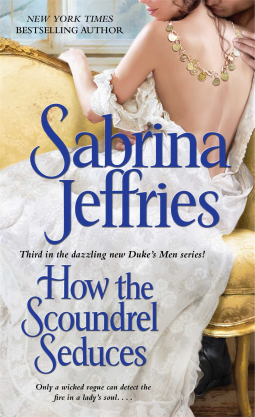 I'm looking forward to reading more of Sabrina Jeffries' books. Would I Read More of this Series/Author? : Yes, definitely! I already own the first in this series and am very much looking forward to reading it. Would I Recommend this Book? : If you have already read several of Jeffires' books than I would say to read it. If you're new to her than I would recommend When the Rogue Returns over this one. Once again I'm linking up with the amazing Kimba from The Caffeinated Book Reviewer for The Sunday Post where we get to talk about what's going this week. No judging! It was a bad week and somehow things got a bit out of control! 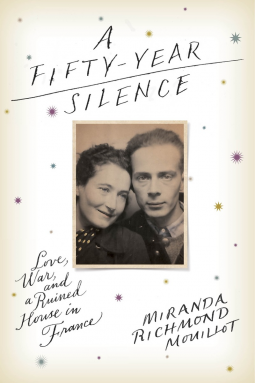 A Fifty Year Silence by Miranda Richmond Mouillot - I'm really excited about this one. This is a non-fiction about the author trying to figure out the reasons behind her grandparents separation shortly after World War 2 and continuing through the rest of their lives. I'll Have What She's Having by Rebecca Harrington - this is kind of like a book I read earlier and really enjoyed (Jennifer, Gwyneth and Me - Review) where a woman spent time trying to live like certain aspects of different celebrities. This focuses strictly on diets of different celebrities from Marilyn Monroe to Jackie Kennedy to Madonna. 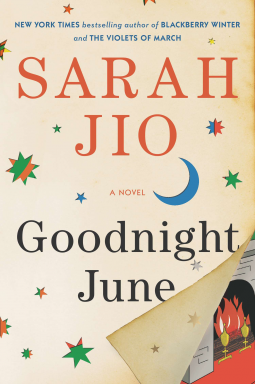 Goodnight June by Sarah Jio - A woman sorting through her aunt's bookstore after the aunt's death stumbles upon letters from Margaret Wise Brown. There's suspense, history and books. Very excited! The Night Garden by Leslie Van Allen - It has a pretty cover and is about a farm in upstate New York where Olivia Pennywort tends a beautiful garden that brings peace to those who visit it. When an old friend returns she starts to question is it a sanctuary or a p prison. While Nine Lives to Die from Brown's other series didn't work for me I did enjoy her writing style so I thought I'd give her other series a try. Her previous book The Forgotten Seamstress is in my top 10 so far this year so I was excited to get a chance to read this book that has tie ins to World War 1. I enjoyed the previous book (review) in this cozy series about an American who wants to work as a gardener in England and I'm looking forward to trying the next one. I love that in this book she's restoring a garden to it's 1806 glory. A cookbook from New York bakery Ovenly where they specialize in things like Bloody Mary scones. There's recipes for the best chocolate chip cookies, buttery scones and all kinds of yummy cakes. Can't wait to try it! I've enjoyed Woods' previous books so I'm looking forward to seeing how her Christmas books are. A police procedural set in 1918. Can't wait to try this one. From Blogging for Books I received a hard copy of The Chopped Cookbook from the Food Network. I really dont' like cookbooks in ebook from so I was thrilled to be able to try this in book form. I haven't had much of a chance to look at yet though we're having Pretzel Crusted Pork Sliders next week. Hopefully I'll have a review up in a few weeks. 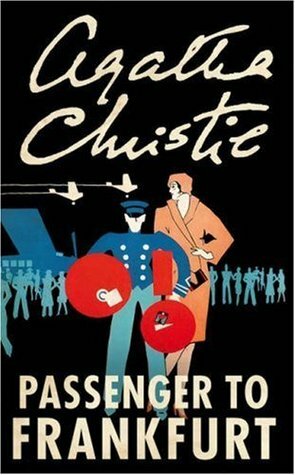 Reading: The Mysterious Affair at Styles from Agatha Christie and Jet Set by William Stadiem. I just started Jet Set but have been really looking forward to reading it. It's about the people who made up aviation's "Golden age" of the 50s and 60s when people still got dressed up to fly. Listening: The Haunting of Hill House by Shirley Jackson. It took me a little time to get used to the narrator's voice but now I'm loving it. I forgot how good this story was. Watching: I'm about to start the 3rd series of Sherlock and am extremely excited about Doctor Who.starting next week. I've been watching CSI:NY on Netflix while I cook dinner and have been loving watching the beginning of the series again. I had forgotten how serious they were. They can't get a cup of coffee without a dramatic pause somewhere in there. I'm also wanting to watch the movie adaptions of The Haunting of Hill House. If I remember correctly the older one is good and the newer one with Catherine Zeta Jones is bad but I still want to watch it! School has started for everyone now. We moved Eleanor into her dorm yesterday. She got a job in the town her school is in at a bookstore which we're all very excited about. The Tornado started his 5 day a week program and is loving it. I've been lucky that he's never been one of those kids who cling to you as you're trying to leave but I was worried about how he'd do going every day. Paul and Emma are in their 2nd week and so far so good there. I'm still LOVING the fact that I no longer have to drive or pick them up. 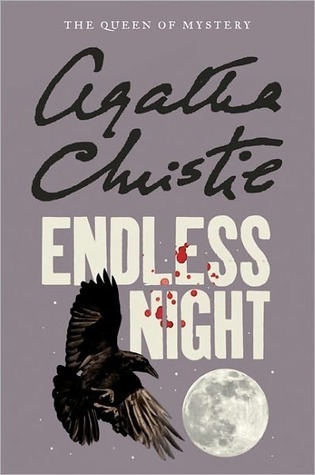 The last of Agatha Christie's non-series books. Poirot is coming up next and I'm looking forward to it! Friday Linkups featuring The Mysterious Affair at Styles where the world first met the little Belgian. One of the most fun cookbooks I've come across in awhile. 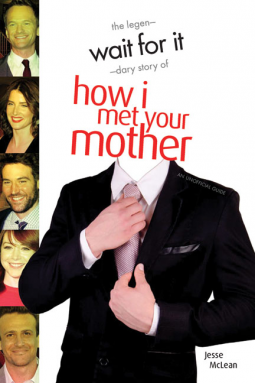 A review of a book on How I Met Your Mother. 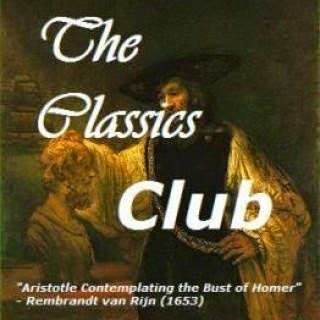 I'm also working on my list for The Classics Club. Any classics I simply must read? My book for the spin is Great Expectations which was one on my dreading list. I"m hoping I enjoy it more this time around than I did when I was 14. I'm linking up with Beth Fish Reads Weekend Cooking. Head over there to see some seriously yummy looking foodie things. Description: This is a fun cookbook written by a father/daughter team who decided to make complete meals from all over the globe. For each country there's a short blurb about the country itself and the cuisine followed by recipes for everything from appetizers and main dishes to desserts and drinks and everything in between. Why I Picked This Book: When the older kids were younger one Saturday night a month we deemed country night where we had a 3 course meal based on whatever country we picked. It was a lot of fun and something we still talk about. When I saw this book on NetGalley it reminded me of that. My Impression: I LOVE this cookbook. The idea is just such fun. For every country or region you can think of there's a complete menu. There's well known areas such as Provence and much lesser known areas such as Kazakhstan and just about everywhere in between. Almost all of the ingredients would be easily found in a regular grocery store. When this isn't the case the Kurlansky's provide you with suggestions of where to find it or substitutions. They do address that not all the recipes are completely authentic. Especially with Kazakhstan where they eat quite a bit of horse meat which would be off putting to most American palettes and difficult to find so they substitute the meat. This isn't a cookbook you would cook from on a Tuesday and many of the recipes are quite labor intensive but it would be great fun for both kids and adults to have a special event night. Plus it's just fun to flip through. I do wish pictures of the meals or countries themselves had been included. There are sketches but I do prefer a photograph when it comes to this type of book. Would I Read More of this Series/Author? : Yes! There instructions were clear and the substitutions were realistic. Would I Recommend this Book? : Definitely! I'm looking to buy another copy of it myself. I prefer my cookbooks in book form. It's Friday so once again I'm linking up with the Book Blogger Hop hosted by Coffee Addicted Writer, Book Beginnings on Fridays hosted by Rose City Reader and The Friday 56 hosted by Freda's Voice. "What is your favorite device to add pictures and content to your blog? I use my desktop for blogging about 99% of the time. I will sometimes type content on the phone but only after I've set up the template already on my PC. The Mysterious Affair at Styles was not only Agatha Christie's first book but also the first time the world met Hercule Poirot with all his little grey cells and mustaches as well as loyal and somewhat naive Captain Hastings. "The intense interest aroused in the public by what was known at the time as "The Styles Case" has now somewhat subsided. Nevertheless, in view of the world-wide notoriety which attended it, I have been asked, both by my friend Poirot and the family themselves, to write an account of the whole story. This, we trust, will effectively silence the sensational rumors which still persist." ""Suppose," suggested Poirot, "that, unknown to you, she had made a new will in favour of some one who was not in any sense of the word, a member of the family - we will say Miss Howard, for instance, would you be surprised?"" We're into Agatha's 4th decade of writing and the tone of the non-series books has changed a bit. We no longer have the adventure stories with beautiful girls filled with common sense or the English country house murder mysteries. Instead we have intricately plotted mysteries that explore good versus evil. The novels are primarily build up with the actual murder investigation occurring in the last fourth of the book. While the mysteries (or at least the first two) are extremely unique and cleverly done Agatha relies more on coincidence than she has in the past and there is some muddling of details that you won't find in her earlier books. Description: In this second book about the O'Neill brothers Morgan takes us back Snow Crystal to spend some time with Elise Phillipe and Sean O'Neil. 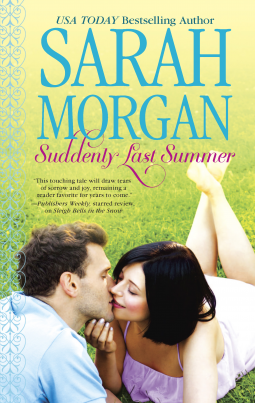 Ever since their one night stand the summer before Sean and Elise have had a hard time hiding their attraction to each other. Since Sean doesn't come home to Snow Crystal very often it generally isn't a problem. That is until family patriarch Walter has a heart attack and Sean ends up staying longer than anticipated to heal old wounds and maybe build a future. Why I Picked This Book: I've heard fantastic things about Sarah Morgan and I love books involving chefs. After I read the first in the series (review) I'm glad I requested this ahead of time. Pro: Once again Morgan gives us 2 very developed characters with Sean and Elise. They both have back stories that make their phobias about relationships makes sense. The attraction was evident but they also really liked and respected each other as well. I liked that they both seemed to need each other even thought that was the last thing they wanted. It was lovely to revisit Snow Crystal and see the changes to the resort as well as check in with Kayla and Jackson from the previous book. Once again, the character development seemed very natural and authentic. I liked that for Sean there was no big giant a-ha moment it was more like a slow thawing. Elise was much more dramatic but it fit her character as well. All the descriptions of food made my mouth water. If it was a real place Elise's restaurant would be in my top ten places to visit list! Con: It was a bit predictable. Since it was a delightful contemporary this didn't really bother me but I could guess what was going to happen well in advance. Overall: This is definitely a fun follow up to Sleigh Bells in the snow. I really enjoyed that these were people with a bit of history. This can be read as a stand alone but it'd be better read after Sleigh Bells in the Snow. Plus is you miss Sleigh Bells in the Snow you'd be missing a great book. Would I Read More of this Series/Author? : Looking forward to #3! Would I Recommend this Book? : Definitely! If you enjoy contemporary romance don't miss this series. 1. 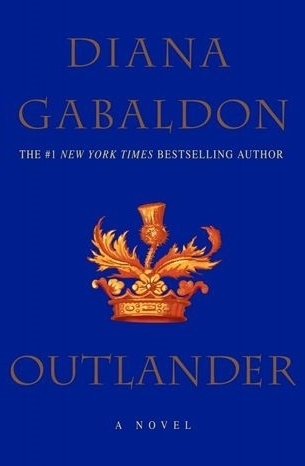 Outlander by Diana Gabaldon - I know, I know but time travel and Scottish guys don't do much for me and the 9,000 pages (ok, slight exaggeration)this book runs will probably prevent me from picking this one up. 2. The Fault in Our Stars by John Green - I know this is amazing and all that but I don't want to cry. I really really don't want to cry. 3. Extremely Loud and Incredibly Close by Jonathan Safran Foer - I did not get along at all with Everything is Illuminated so even though I was slightly tempted when the movie came out I will not be revisiting this author. 4. The Catcher in the Rye by J.D. Salinger - This is one of those that I feel that I should read because it's iconic but when it really comes down to it I probably won't. 6. Ulysses by James Joyce - I still have nightmares about having to read Portrait of the Artist as a Young Man in high school. While I feel like I should read this I probably won't unless I have literally read everything else. 8. The Girl with the Dragon Tattoo by Steig Larsson - Another story I'm not sure I want inside my head. 9. Little Mercies by Heather Gudenkauf - I know it's supposed to be beautifully handled and wonderfully written but I want to run in the opposite direction from this one. 10. Divergent by Veronica Roth - My daughter tore through this series in a weekend and then spent the next 30 minutes staring into space vowing to never read again. Luckily, she's recovered but I'm not nearly as big of a dystopian fan as she is so I'll give this series a miss. Any of these you've read and think are must reads? Any books you want to head in the opposite direction from as quickly as possible? Description: In Kathleen Flinn's 3rd book - after The Sharper Your Knife, the Less You Cry and Kitchen Counter Cooking School - she talks about where her love of food came from by looking at her parents and their parents. She talks about growing up in a loving but slightly quirky family whose love of adventure and sense of humor never let them down. 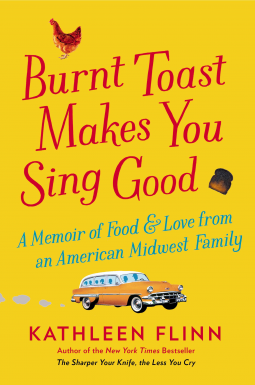 Why I Picked This Book: I've heard fantastic things about Flinn's other books and I love foodie memoirs so I couldn't resist picking this one up. Pros: I loved this book. I was expecting good things because I'd heard nothing but raves about Flinn's previous books but this far exceeded my expectations. I laughed out loud at times like when the mom was stuck in the chicken coop with a cranky rooster or when she blackmailed her oldest son into building her a rock garden after a streaking incident. I teared up over the loss of the grandfather, the dad's experiences in Korea. Throughout the book I rooted for them and was fascinated by them. Flinn's parents are the star of this book. They are tough, strong and determined people with a sense of adventure and huge heart. Even at the toughest times, of which they have plenty, they have fun together. They did sustainable living long before it became a trend with a garden, chickens, canning and thrift store shopping. The chicken coop story made me simultaneously laugh until I almost cried and abandon the half formed idea I had to get chickens. I could have easily sat down and read this book in one sitting. As it was every time I had to put it down I couldn't wait to pick it up again and read the next story. I wanted to hear more about this lovely family. The ending was beautiful with a tie in to how important food really is to healing and showing someone how we feel. The recipes looked wonderful and I will definitely be trying several out very soon like the German Potato Salad or her Grandmother Inez's Cinnamon Rolls. Cons: I really can't come up with anything. This is one of my favorite books of the year so far. I plan on buying a paper copy because I think that works better for the pictures and the recipes. Overall: I loved this book. I read excerpts aloud and bombarded my husband with little stories from it as I was reading it. I laughed, I cried and I absolutely loved it. Would I Read More of this Series/Author? : Definitely! I'm glad I already have her 2 earlier books because I would've gone out and bought them today otherwise. Would I Recommend this Book? : Absolutely! If you have the slightest interest in foodie memoirs pick this one up! 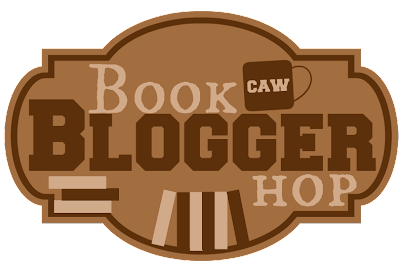 Once again I'm linking up with Kimba over at the Caffeinated Book Reviewer for The Sunday Post where we talk about what's happening on and off the blog. This week I ended up a few more books than I planned on! The Blood of an Englishman by M.C. 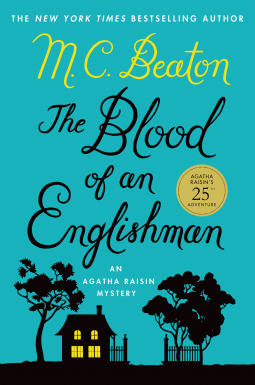 Beaton - I've enjoyed the handful of Agatha Raisin books I've read but it's been awhile so I thought I'd give the newest in the series a try. Hideaway Cove by Anna Sullivan - I've seen good reviews for this book and thought I'd try it as I've been in a contemporary mood lately. One in a Million by Jill Shalvis - or this one for that matter though it says this is going to be the last one. I'm glad that she's not going to write the series to death like happens so often but now I have to find a replacement! Rival's Challenge by Abby Green - I didn't care for the first book in the series but I love the grand hotel in London so much that I decided to give this another try. It's by a different author so I'm hopeful. Scene of the Climb by Kate Dyer-Seely - this was sent by the author for review consideration. It's a cozy featuring a woman who writes for an adventure magazine who may have exaggerated her athletic abilities. I'm pretty excited about it as it looks like a fun mystery with a dash of humor. We are officially in back to school mode. Emma and Paul started Tuesday, the Tornado starts Monday and Eleanor heads back to university next weekend. They've changed the school time for Emma and Paul's school to deal with a busing issue we have here and have changed some of the traffic routes. Apparently it's total chaos but I don't have to deal with it at all because Emma is driving to school. I'm so happy about it I can't even begin to describe it! I love this time of year because it's like New Years day part 2. I reevaluate all my systems and get back on track with everything. I feel all organized and on top of things until towards the end of November when all the holiday madness hits and things spin out of control again. My tomatoes have slowed down a bit and I finally learned how to tell the difference between an Armenian cucumber and a regular cucumber so I'm picking everything at their correct size. I still have zucchini coming out my ears and am running of things to do with it that don't involve baking with it because I've yet to become a fan of zucchini bread. I'm thinking I'm going to try fritters next. I'm finally well again! I have a twinge of cough and some allergy issues but the cold is finally gone! It's so great to not feel like death warmed over anymore! My list of 20 classics for The Classics Club Spin - can't wait to see what I'll be reading! a few other book reviews including a really fun cookbook on Saturday. I've been meaning to read more classics but somehow they just never find their way into my reading stack. I was thrilled when I saw a post from the Classics expert JoAnn over at Lakeside Musings posted about The Classics Club Spin hosted by The Classics Club. The rules are pretty simple. Make a list of 20 books by August 11th. That morning a random number will be posted and that book will be the one you read by October 6th. Try and challenge yourself to mix in some books that you're dreading or hesitant about. This time around I'm focusing on children's books that I somehow missed when I was an actual child with a few others thrown in. 17. 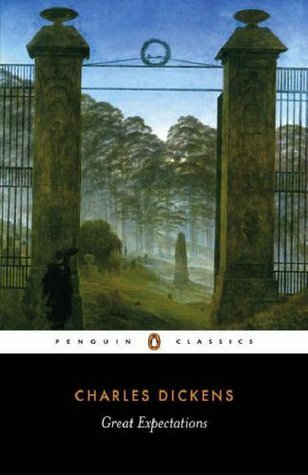 Great Expectations by Charles Dickens - also technically a reread but I read it in 9th grade so I'm not sure it counts. 18. Animal Farm by George Orwell - I know this is supposed to be an easy read but I've never really wanted to pick this one up. 20. A Tree Grows in Brooklyn by Betty Smith- I've always been hesitant to read this one for some reason.